Home › Cradle to career › The mothers of child advocacy in the U.S. The mothers of child advocacy in the U.S. When it comes to advocating for the best interest of children, no one has played a more critical role than women. This week, in honor of Mother’s Day, we’d like to pay homage to some of the mothers of child advocacy, who made life-changing improvements for generations of children in the United States. Each era has its heroes and heroines. And each era has one woman who rose to the forefront, defining that eras ideals of child advocacy and making permanent, positive change for children. 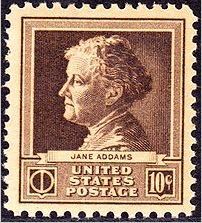 Generally considered to be the “Mother of Social Work,” Jane Addams was a community activist who is most famous for founding Hull House in Chicago. This settlement house sheltered 25 women, as they strove to improve neighborhood relations and improve societal conditions through research and study. Hull House featured multiple programs in art and drama, kindergarten classes, boys’ and girls’ clubs, language classes, reading groups, college extension courses, gymnasium, playground and more facilities and activities designed to help children reach their full potential and to foster cooperation. Addams also helped pass the first model tenement code and the first factory laws, which benefited children more than any other group. A native-born Nebraskan, Abbott had a powerful impact on the welfare of children. Abbott was born in Grand Island, and grew up strongly influenced by both her mother and father. Mrs. Lizzie Abbott was involved in both abolitionist and suffragist movements. While Abbott’s father, Othman, was a Civil War veteran, lawyer and politician. Abbott attended Grand Island College and became a high school teacher after graduation. She taught for years before deciding she wanted to do something more. In 1907, she moved to Chicago, Illinois, to further her education. It was here that she moved into Jane Addams’ Hull House. While Abbott was working on her doctorate in political science, she was also learning a great deal from Addams and her efforts for equality among all, especially immigrants and children. Abbott followed Jane’s lead in social work and decided to move to Washington, D.C., to head the Child Labor Division. There, she lobbied for a constitutional amendment to ban child labor. 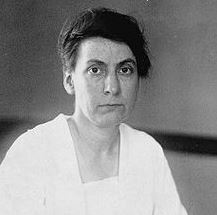 In 1921, she became the head of the Children’s Bureau and thrived to make changes in health care for pregnant women and mothers. Abbott’s life revolved around the issues of child welfare and the impact of the changes she spearheaded are still benefiting children today. Dorothy Pitman Hughes was born in Lumpkin, Georgia, into a life that was far from easy. Today, she is a known as a feminist, child-welfare advocate, African-American activist, public speaker, author, small business owner, and a mother to three daughters. Pitman Hughes found her passion for social action within her personal experiences. When she was 10 years old, her father was beaten and left for dead on her family’s front doorstep by a local hate group. This moment, and the many similar moments in her Georgia childhood, spurred her to pursue a life fighting for others through activism. She got her start by working with icons like Martin Luther King Jr. and Malcolm X to raise money to bail civil rights protesters out of jail. She also started programs to keep youth working and productive during the summer and opened child care options up to mothers who needed to work to support their children. She went on to organize the first battered women’s shelter in New York City and to co-found the New York Agency for Child Development. It was programs like this that got the attention of fellow activist, Gloria Steinem. Together, the two founded the Women’s Action Alliance, a national information center specializing in the equality of race, class and gender. 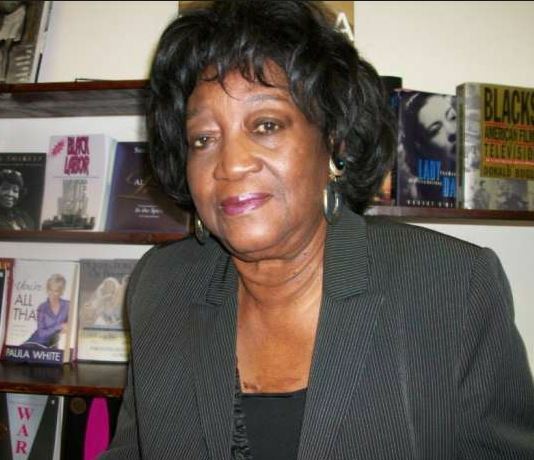 She also co-founded Ms. Magazine in 1971. The work that Pitman Hughes has done has been inspiring to many in both her personal and professional life. Oprah Winfrey has even honored her as one of America’s “Great Moms” and at the age of 75 she continues to fight inequality. How can we build on this work? We owe these three mothers of child advocacy a debt of gratitude. But gratitude alone won’t create positive change for Nebraska’s children in need. From cradle to career, our communities have children that are living with risk factors that can compromise their development and their future. You can help Nebraska Children build on the work of these pioneering women and make positive change right here in Nebraska. Schedule a donation for Give to Lincoln Day. Your gift will be matched, amplifying its impact and maximizing the good it can do.